Ultrathin flexibele RGB LEDstrips with full colour SMD LED's and 3M tape on the bottomside. NOTE: This products is an OEM/DIY version for selfassembly. Needs soldering. 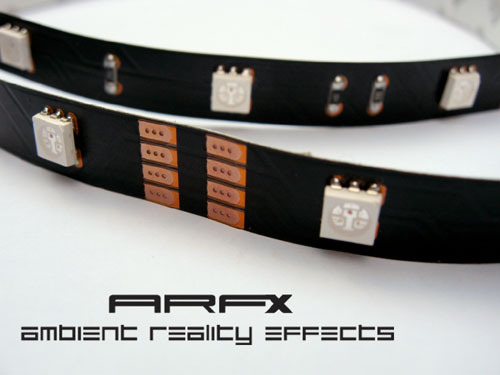 *ARFX USB modules bought after Febr 2009 now directly support a maximum of 2x5M RGB flexline LEDS if a optional (5A 12V) power supply is used.